I couldn’t resist this one. What could possibly go wrong? A book for connoisseurs, surely. Whiskey and philosophy, something important men think about while gazing out windows with a tumbler of Johnnie Black at their side. Even more interesting is the fact that this is an edited volume of a variety of essays covering topics regarding whiskey and philosophy. My verdict? What a letdown. Apart from a great introduction from a true whisky wizard guru lord, Charles MacLean, the book pretty much takes a nose dive to mediocrity from there. Dear Reader, allow me to explain what I think this book does right, if I may just start right out and get it over with. First, the title alone suggest we are dealing with something new and unique, at least in terms of learning about whisky through a different lens. The entire supply of the world’s books on whiskey are largely introductory offerings. The biggest portion of the market share is devoted to beer and of course, wine. So it’s promising to see a book at least try to stand out and offer something interesting. Secondly, the book does offer a number of useful insights for whiskey drinkers. One good takeaway is on how marketers really drive the branding of the world’s whiskies. Creating a brand can be done a number of different ways. In whiskey’s case, the occasional truth stretching, omitting of facts and exaggeration in regards to the history and provenance of a single distillery and its distillate is unfortunately found in certain mainstream brands. Myths abound in advertising and whiskey marketers do not escape this fact. Authenticity is extremely important to the serious drinker, so it may come as a disappointment that even your favorite whisky brand may not be as authentic as you think it is. More examples of useful takeaways include achieving realism, objectivity and useful practicality in whiskey reviews that are by nature highly subjective. Lastly, a very useful discussion occurs in the book in regards to the perceived immorality of hard liquor. What exactly is being misunderstood here? Is the drink evil, or is the problem with the drinker? That question’s answer could sure point us in the right direction when it comes to alcohol abuse. With that said, let me get on to what I really want to say. Either it is my view of what the book should have been like was wrong, or the book really failed to live up to what was promised. I’m no professional philosopher, but I’ve done my time stepping into rather large whirlpools of philosophical thought while at university and beyond. Where are the thought provoking ideas that demand your attention? Not there. Perhaps the authors knew that you could only take this idea so far. There are only so many deconstructions and trips to the dialectic one can take through inebriation. Maybe I should relax. While trying figure out why this book didn’t work, I noticed that every author was, rightly so, a philosophical scholar of some sort. Men of academia, surely capable of piercing through to the philosophical core of anything, will get the job done. The authors served their expertise well, but I’m not sure they had any real clue when it came to whiskey. I think the book would have been better if written by whisky experts but amateur philosophers. It might have worked there. The low point of the book was either the chapter about whiskey and feminism or the essay relating the connoisseurship of the Manhattan cocktail with womanizing. No clue what that was trying to accomplish. A few good tidbits, and even a few serviceable essays, but seek life elsewhere, dear readers. If this book is like any others in the “X and Philosophy” series (mini-genre? 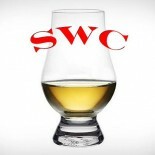 ), it just used a bunch of random points about the subject (whisky) to launch into Philosophy 101 topics that were tenuously connected to that whisky thing. Yes? In my experience, these are worth a skim if you’re into the subject they’re launching from. That’s about it.